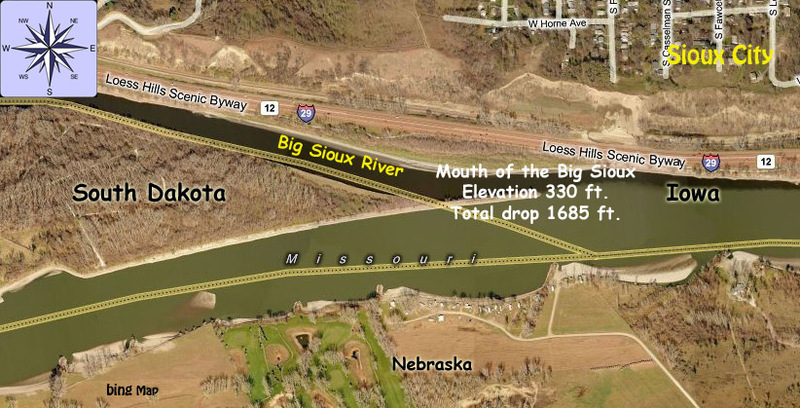 The Big Sioux River "Tchankasndata Wakpa"
The Big Sioux River, located in eastern South Dakota, and NW Iowa, is 420 miles long, starting from its source in Roberts County S.D. , a mile and one half north and half mile west of Summit. The river was first mapped by French explorers in 1688, but detailed, accurate mapping did not occur until the great astronomer and cartographer, Joesph Nicolett, along with his assistant, John C. Fremont, did extensive mapping and surveying in eastern Dakota in 1839.